So Edmund Burke wrote near the end of his days, describing the marching modern spirit that animated Jacobin France — a spirit which has plagued us ever since. Burke went on to identify the enemy with an energetic precision. First, it was Revolutionary France, the Regicide commonwealth, “which lays it down as a fixed law of nature, and fundamental right of man, that all government, not being a democracy, is an usurpation.” Second, it was Jacobinism, “the revolt of the enterprising talents of a country against its property,” or “private men form[ing] themselves into associations for the purpose of destroying the pre-existing laws and institutions of their country.” Finally, it was Atheism, or irreligion. These three forces, present throughout Christendom in isolation for centuries, had finally united under one power, and in one State. It was against this power that Burke set himself with all the power and subtlety of his ample mind. This image of an armed doctrine appears as in contrast. It is not an armed clan, or an armed banditry, or an armed mob, though it will make use of all these. It is far less localized, and far less human. It combines the brute practicality of a guillotine with the ghostly abstraction of the loftiest Marxist conjectures. A good précis may be discerned in the career of John Reed. We might say that the French Revolution was the culmination of a brewing revolt: the break-up of Christian Europe and the dawn of the Modern Age. When we look backwards across history through the prism of the twentieth century — in particular through the prism of Revolution, so central to the twentieth century — we begin to see this previous revolution in France, to which the Communists and a hundred other mad malcontents harkened back, in a more sinister light. The armed doctrines were indeed on the march, and we have not heard the last of them. My edition of Burke’s selected works (purchased from the invaluable Liberty Fund) is a reprint of a late nineteenth-century collection, edited by one E. J. Payne. Now Mr. Payne composed fine introductions to each of the three volumes, and his notes are genuinely illuminating; but Payne, being a man of his age, must concede certain things to conventional thinking. He must, with a slight hiccup of embarrassment, own to Burke’s errors, namely an error in the latter’s greatest judgment, the judgment against the Revolution in France. He must maintain that Burke, in terrific anxiety of armed doctrines, mislaid his equipoise. Payne writes, “No student of history by this time needs to be told that the French Revolution was, in a more or less extended sense, a very good thing.” What is most interesting about this is that it is no longer true: students of history do need to be told just that, repeatedly, dogmatically, for their teachers tremble and fret that they might, if given the opportunity, securely arrive at the opposite opinion. As with many other cases in our day, the progressive or even radical view of things, which once shook the settled world in its implications, has become the conventional wisdom; and indeed, not conventional wisdom of the truism sort, like “Aristotle was a wise man,” but conventional wisdom of the dusty, chastened sort, like “permanent class war is inevitable.” Young people revolt against their parents’ ridiculous old heretical slogans; and return with all the joy of youthful discovery to virtues of orthodoxy. As Chesterton wryly put it, defending virtue today has all the exhilaration of vice. An example still fairly near comes to mind: How unutterably silly the aging mandarins of mainstream film criticism looked in castigating the most genuinely countercultural movie in decades — a movie depicting with biblical brutality the greatest, most “challenging” and “edgy” story ever told. Reactionary fuddy-duddies and sanctimonious scolds, these secularist gray hairs for whom The Passion of the Christ was a scandal. So it is with the conventional wisdom on the French Revolution: The Reign of Terror cannot be so easily brushed off, what with its ferocious posterity in Russia, China, and a dozen other nations. Students of history do indeed question whether the French Revolution was a good thing. The whole idea of revolution stands darkened by blood and massacre. In short, Burke stands taller today than Payne, and even appears younger and more vibrant than him, though a hundred years his senior. I repeat that Mr. Payne’s editorial labor over Burke’s works is superb, and we are all rewarded by its being reprinted. I harbor no ill will toward so thoughtful, magnanimous and diligent a critic of the great Irishman; Payne’s blunder, indeed, is part of his inheritance to us. His narrowness charms us against the stolid rock of Burke’s broad mind. That poor innocent Payne died before he could learn what the Bloodlands between Hitler and Stalin, what the devouring wolves of revolution, would make of the 20th century. It was Payne’s verdict on the Revolution that was wrong, and to look upon the blunder in light of Burke’s own towering and mysterious genius is to perceive, in one vast flourish as it were, the great modern doctrine of Progress flipped on its head. And we speak here not of some trivial controversy but of one of the greatest of the modern age. 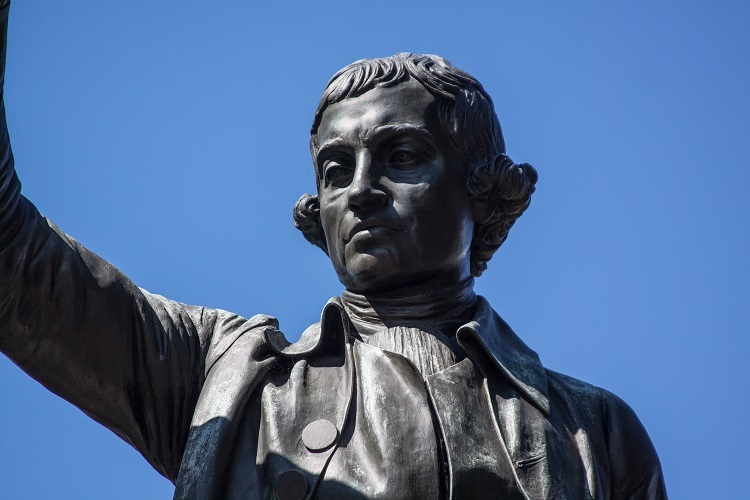 That Edmund Burke writing in 1789, knew better than E. J. Payne writing in 1875, means the life of the mind of man regressed even as most everyone of stature proclaimed its progress. And the irony is that, as the hateful, soulless force of modern revolution rose out of the dreary despotism constructed by Richelieu and Louis XIV, drawing to it, in its zeal of youth, all the shining idealism of Progress, only a great reactionary was progressive enough to see it for what it really was. It is a vexatious thing to the modern mind to be told that our ancestors knew us better than we know ourselves, but in some cases the proposition is simply true. Burke is one of those cases. I do not say that his affection for Europe’s ancien regime — itself an innovation derived from early modern theories of statecraft — is something to really admire and emulate; but I do say that his denunciation of the Regicide commonwealth and its Jacobin sophisters stands today, perhaps even larger than it did over two centuries ago. Moreover, the charge that Burke was a complacent apologist for oppressive aristocracy is itself ignorant, tedious caricature. I have been struck on occasion by the amusing and almost whimsical spectacle of some modern liberal or progressive having recently discovered Burke — that is to say, having recently decided to actually read him. The discovery leads the progressive in question to speak with pomp and solemnity, almost as a scold: for the discovery is like that of a prosecutor coming upon a clutch of useful physical evidence — better, as they say, than witness testimony. Perhaps he has uncovered the large fact that Burke (himself an Irishman) lent his considerable eloquence and intellect to the cause of Irish emancipation; maybe he has been amazed to learn that he prosecuted a prominent imperial abuser of the subjected Indians; more likely our progressive has stumbled upon the vivid fact that his sympathies were with the unruly American colonists. 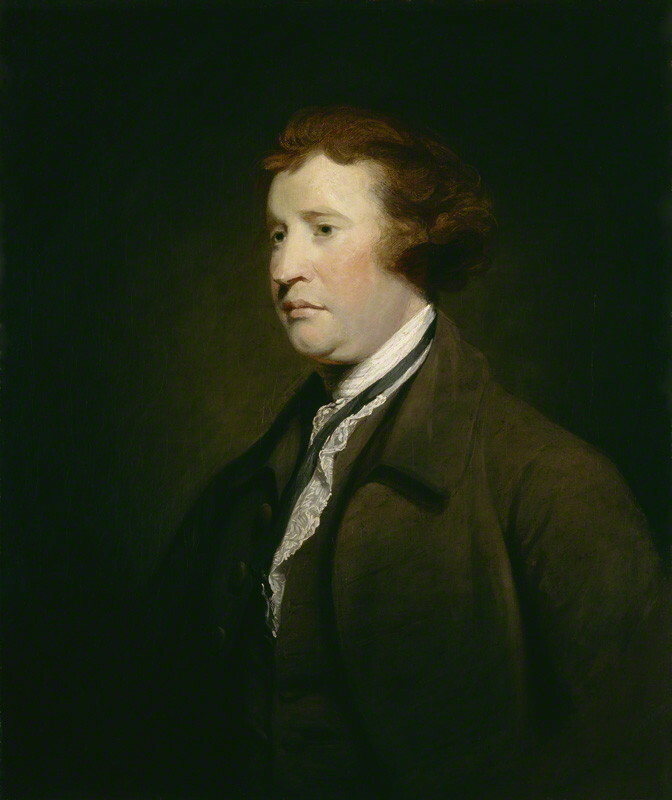 In short, our progressive has discovered the whole huge truth that Edmund Burke was way ahead of most of the progressives of his own day in endorsing progressive causes. And this truth is demonstrated best, we might say, by the fact that Burke’s friends and admirers were simply dumbstruck when he so decisively and so forcefully judged the progressive cause of the day — still indeed, perhaps, the progressive cause of the entire modern age — to be a titanic catastrophe. Like most great conservatives, Burke had no antipathy for genuine progress; what he despised, and spared no effort to expose, was decline and barbarism masquerading as progress. He knew the furtive truth: that a society usually must be civilized before it can really go bad; that great civilizations do not fall backward into barbarism, but rather march headlong into it with eager gleaming eyes and sophisticated sermons. After the publication of Reflections on the Revolution in France, Burke wandered in the wilderness. He prosecuted Warren Hastings, Governor-General of Bengal, in the House of Commons, but the House of Lords acquitted. His intransigence toward Jacobin France alienated his Whig colleagues; yet he never yielded in it; indeed it only grew more vehement, until many came to dismiss him as a near madman. But the puzzle to our progressive, when he comes to conclude that Burke might well have ended up a hero of the Left had he not turned against the Jacobins, will be resolved only when he abandons his lazy assumption that Burke was a mere partisan or polemicist and no philosopher; and comes to realize that so many great men fall under the label Conservative because they saw like prophets all the terrible madness in the fads and fashions and enthusiasms of their day. Thanks for this post, Paul. I am always embarrassed to admit that I have read only snippets of Burke, and this is an encouragement to remedy that lack. Perhaps next summer I can finally attend to him. I too have only read bits and pieces. I love some of what he wrote. And then I get nigglingly irritated at some other stuff, though I suspect it's more of a temperament thing than a substantive thing - he tends to be more of a particularist than I am, I am more of a universalist. Kudos to Burke for his seeing the truth of the revolution(s) better than virtually any of his contemporaries, including men such as Thomas Jefferson. It takes a man of deep thought to overcome the fashionable biases of his own society, without being a curmudgeon that simply bashes everything in sight. His style often tends toward an excess of ornament and intricacy, common enough in that age of orators. After all, most of his greatest works began as speeches, some of them arising from an astonishing want of formal preparation, which only serves to emphasize his remarkable powers of composition. We should observe that Edmund Burke has a literary heir in the 21st century. His name is Paul J. Cella -- a man whose work, one suspects, will be far more widely known someday than today. Our heir to Burke having sprung to action, only a 21st-century Lord Rockingham is wanted. Burke was treated with dismissiveness in school, now after all of these years I understand why. Good post, Paul. You have an excellent point that the editor's 19th century optimism looks merely quaint, blinkered, and dated now, whereas he of course intended it to express "what we now know." But I'm not entirely sure he was innocent, either. We wouldn't know about the reign of terror now if there hadn't been records of it then. The romanticists simply chose to overlook inconvenient facts. In our own day, I suppose a parallel might be drawn to some people's reaction to the so-called Arab Spring.